* Up to $3,000 in Relocation Money that you do not pay back! 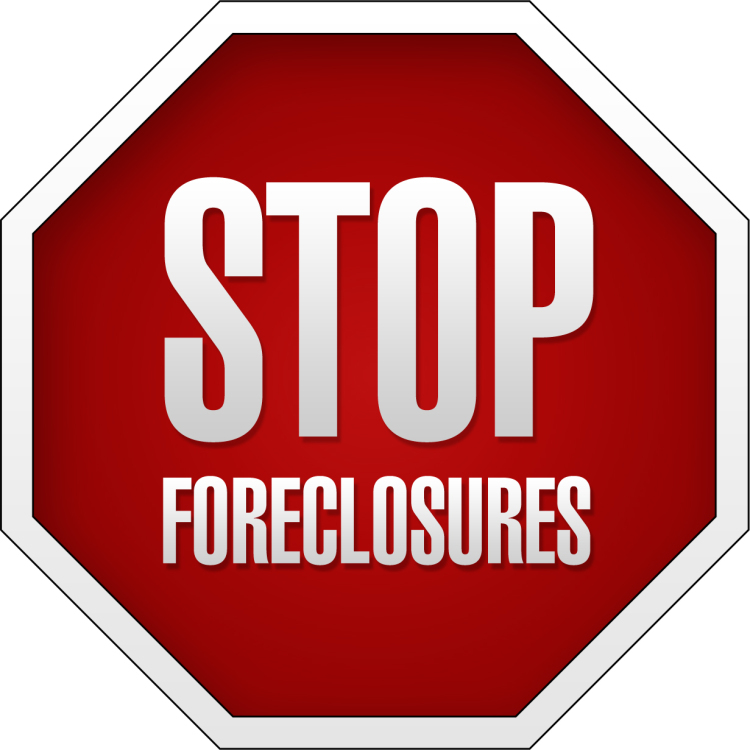 If you are facing foreclosure you are not alone. Over the past 9 years in Las Vegas 1 in 7 homes has either been foreclosed on or is in default and may be foreclosed upon. In every instance the cause of default was the predatory nature of banks and mortgage companies or the crippling decline of the economy. And while caused by the banks and the federal government, little if no help is offered by either entity. As Real Estate Professionals we feel it is our obligation to assist homeowners that are in distress and facing the possibility of foreclosure. Deed in Lieu of Foreclosure – Often referred to as a friendly foreclosure it is anything but. The term and process means that the homeowner voluntarily surrenders the property back to the bank/lender and returns the Deed (the ownership documents) in lieu of facing the process of Foreclosure. This was a rather common practice up to the 1970’s as it was often impossible to sell real estate in some parts of the country. If a person wanted to move and there were no buyers the only way to relieve the homeowner of future expense and liability was to return the note (the loan obligation) with the Deed. The bank would accept it and the homeowner could move on. What they forget to tell you is that is still shows as a foreclosure on your credit report. It turns out there was nothing friendly about the Deed in Lieu process. Mediation – This is an activity that was implemented in 2009 in Nevada. The idea was to force the bank/lender to negotiate with the homeowner and come up with an alternative to foreclosure. The idea was correct but the implementation was a failure as the Nevada legislatures did a poor job of creating a law that forced banks/lenders to negotiate and made it a suggestion that they assist the homeowner. The banks/lenders used this program as a Band-Aid to show they were trying to assist homeowners. Ultimately the program gives homeowners false hope and generally prolongs the anxiety and uncertainty of foreclosure. Modification – This was created by the banks in partnership with the Federal Government. Originally the Feds were going to reimburse homeowners out of a fund created by the banks for the federal government called TARP. While the government agreed to lend the banks TRILLIONS of dollars that they were going to borrow from the banks to assist homeowners in distress. The banks lent the money to the government and then kept it for themselves. Once again making more money on their own money. This created a process where the banks could foreclose on a home, reimburse themselves the full amount for their loss with interest and penalties AND retain ownership of the home which was sold at a discounted price, but represented a 100% profit. This is the same way that organized crime operates. Foreclosure – This is the legal process that bank/lenders take back ownership from homeowners who have not made payments as required by the mortgage note (obligation). This is a judicial legal process. Foreclosure is the last worst step for both the bank/lender and the homeowner. It is the most costly process for the bank/lender and damages the homeowner’s credit and future financial stability. Foreclosure should be avoided at all costs. Leave the homeowner with the lowest possible credit score. Leave the homeowner financially responsible for the original debt. Leave the homeowner financially responsible for any deficiency debt when the home is sold. Leave the homeowner financially responsible for any fees and penalties. As a homeowner that is foreclosed upon you may be responsible for the original debt obligation, the fees, deficiency and penalties – an amount greater than your original obligation. Short Sale – Short sales have been common in the American housing and mortgage/lending industry since its inception. Going back to a time when homeowners would live in their home for years or decades and find themselves in a position that they must move and were unable to sell the home for an amount that would pay the loan in full. Thus, the bank would allow the homeowner to sell the home at a price that was short of a full payment (aka short sale). In doing so the homeowner would be relieved of all financial obligations and the note (promise to pay) would be shown as paid in full, allowing the homeowner to move and continue in a financially positive direction. At the beginning of this current housing crisis as housing values declined rapidly many homeowners short sold their homes. As the housing crisis heated up the banks/lenders quickly changed the role and process of short selling a home. For the record between 2010 and 2013 it was almost impossible to get the banks to agree to short sale a home. Today a short sale is the only method to relieve the homeowner of the financial debt and create a positive credit position to move forward. We will explore all the possibilities to assist you in finding a remedy to your housing crisis. We will present you with the material that you will need to make a decision to move forward. 95% of homeowners that lose their home to foreclosure do so because they did not make a decision. Your Best Options lie in Short Selling your home. It will allow you time to organize and prepare to move, thus giving you more time in your home. The short sale process is 60 to 120 days but is under your schedule. You will be given relocation monies to assist you in finding other housing accommodations. Your debt with the bank/lender will be satisfied. Any financial obligation deficiency will be forgiven. 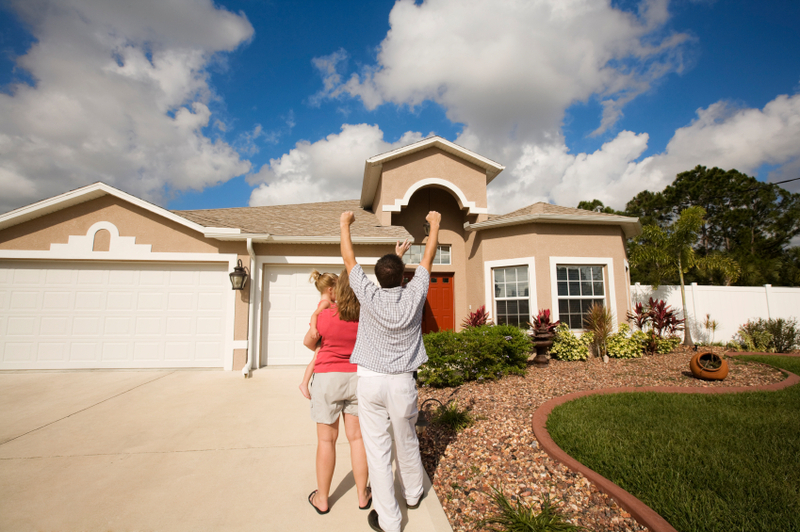 We may find a buyer that will rent your home back to you so that you do not have to move. You may find in the future that the buyer of your home may sell it back to you. You will be able to re-establish credit with a short sale faster than any other avoidance program. Alex “A-Rod” Rodriguez is probably best known for his incredible baseball career. He played 22 seasons in Major League baseball for the Seattle Mariners, Texas Rangers, and New York Yankees. But what he does now is definitely making headlines! He is currently the CEO of A-Rod Corp, a fully-integrated real estate investment firm he founded during his professional baseball career. He is now a very successful real estate investor. Rodriguez currently owns more than 13,000 apartment units spanning over several states. During the summer, he decided to invest in UFC-branded gyms in a dozen locations across the U.S He recently wrote for CNBC and stated that his strategy has always been the same, and it’s working! Buy, fix, and sell. That’s it. Here is what Rodriguez had to say about being a real estate investor. Rodriguez says investing in multifamily units in the workforce sector is still a good idea. There is an opportunity for investors in the mid and lower ends of the market to fill the demand that federal housing doesn’t have the ability to. Instead of trying to go for the most attractive luxury housing on the market, he believes in putting in the hard work and taking the time to renovate and reposition properties. As with all real estate investing, make sure you do your research and know that the outcome will be in your favor. Find experts to do the renovations and make it a quality environment to get the most out of your investment. Amazon and other companies are making e-commerce a huge driving force these days. People no longer want to wait for deliveries. Companies are building warehouses in more metropolitan areas so customers can get their orders faster. Again, don’t look for just quality of the housing but under served markets. Rodriguez recommends looking into investing in suburban markets with large amounts of middle-class workers that are likely to continue driving this trend. Rodriguez pointed out that although rates are historically low right now, they are more than likely going to increase in 2018. Invest wisely, making sure you have sufficient capital in order to prepare for future investments or needed corrections. Home buyers tend to have a lot of questions about the house hunting and home buying process. This is particularly true for first-time buyers who have never navigated their way through it before. At America’s Choice Realty, we are always here to answer your questions and help you through this important time in your life. This lays it all out for you, from start to finish. Here are seven steps you should take when buying a home. You can order your credit reports from Experian, Equifax and TransUnion, every year for free and then review them for errors. You can also order your credit scores (different from your reports) to see how you stack up against the national average. A higher score could help you qualify for a better mortgage rate. Knowing your credit score and seeing your credit report can help you figure out where you need to work to improve your score. A mortgage broker can walk you through your report and give you tips on how to improve your credit score. You can easily raise your credit score by a few hundred points in as little as six months. A mortgage lender cannot tell you how much of a monthly payment you can comfortably afford. They can only tell you the amount you qualify for. You should determine your home-buying budget for yourself, before shopping for a loan. The idea is to get a basic budget on paper, including the most you are comfortable spending each month toward your housing costs. This will come in handy later on when determining your housing budget. Take into account utilities, car payments, insurance (car and home owners), HOA fees, grocery expenses, anything you can think of that will need to be accounted for. Your mortgage payment will determine what kind of lifestyle you want to have. How much of your budget do you want to put towards a mortgage payment? If you’re planning to pay cash for a home, you can obviously skip this step. But if you’re like most home buyers, and you need mortgage financing to complete your purchase, you can benefit from getting pre-approved. Pre-approval is when a mortgage lender reviews your financial and credit history to determine your “creditworthiness.” When you get pre-approved for a specific loan amount, you’ll be able to narrow your house search to that price range. Having a pre-approval letter also shows sellers that you are serious about (and capable of) purchasing their home. This can make a big difference in active real estate markets, where the seller may receive multiple offers from competing buyers. If they see you have already done the work and proved you are capable of actually purchasing the home, you will be a more attractive buyer. 4. Find a real estate agent to help you. 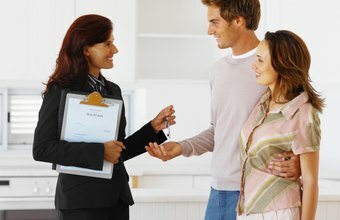 All home buyers can benefit from having professional help from an agent. They are trained to have your best experience in mind. This is especially true if you are buying a home for the first time, or in a new city you’re not familiar with. An agent can help you find a home that meets your needs and budget, evaluate the seller’s asking price, put together a strong offer, and negotiate effectively based on current market conditions. House hunting is the most exciting part of the home buying process. This is where you and your agent visit homes to find one that matches your needs. If you have a smart phone, be sure to bring it along so you can take pictures. Focus on the more permanent features of the home, such as the location, the lot, the square footage, etc. Don’t worry about the paint or the decor — you can always change those things. Make a list of what your wants are versus your needs. Look for homes that have the things you absolutely need, such as the right number of bedrooms and bathrooms, and don’t get hung up on things that are just wants, such as high vaulted ceilings. You don’t want to miss an opportunity on a house that fits your family just because it doesn’t have bay windows. Once you’ve determined that the seller’s asking price is fair and reasonable, you are ready to make an offer on the property. In most cases, it’s wise to make the offer contingent upon the home inspection. Some homes will want to sell “as is” but getting a home inspection will still help you get an idea of what needs to be fix. It also gives you a way to back out of the deal if the inspector uncovers an issue you’re not comfortable with. Your agent will help you prepare an effective offer. Negotiation is one of their core skills. 7. Attend closing to sign your paperwork — and get your keys! Once you’ve made it through the inspection stage, you’re ready to attend the closing. This is when the title to the property is transferred from the seller to the buyer. You’ll also be signing a lot of paperwork and paying any other fees that are due. Once the papers are signed, you get your keys! Renting versus buying is a big question on every person’s mind. More millenials are looking for their first homes and others are trying to upgrade or downgrade, depending on where they are in life. Buying is a great option if you can afford it. Homes are an investment and we at America’s Choice Realty are ready to help you take that step. However, some people may need time to save for a down payment or haven’t quite found their dream home yet. The option to rent, even for a short period of time, may be in your favor. So, what should you expect when you rent? This is the first question whether you’re renting or buying. What can you reasonably afford? First take in to account your current expenses – credit cards, car payment, insurance, food – and then identify how much you make. Knowing exactly what you want to spend on rent will make or break your lifestyle. Generally, the ideal ratio of rent to income is 25 to 30% of your monthly income. Don’t forget to add in the costs of utilities, cable, wifi, etc. if that is not included in your rent. To move in, it can get costly. There is usually an initial application fee which can range anywhere from $25 to $100. This makes sure you have enough income, reasonable credit, no past evictions, and such. You only want to apply if you are serious about the property. Having a real estate agent check if there are other applications or speak to the housing manager for you is a good idea so you can skip falling in love with places that have already been rented out. You will also usually need first and last months rent, a security deposit, sometimes a cleaning deposit, and if pets are allowed, a separate pet deposit. All of these things can add up quickly, so be prepared to have that ready. Getting to and from places is a huge thing to consider when renting. Do you own a car? Where can you park it? Where can your guests/roommates park? Do you use public transportation? How close are the bus stops? These are answers your landlord will be able to answer for you before you choose to rent. Before you sign anything, make sure you know the answers to several questions. What is the lease? Can you do month-to-month or only a year? How do you pay the rent, online, check, money order? What are the rules for trash and recycling? Is the property clean on the tour? This will give you an idea of how well kept the property is and has been. Who do I call if something breaks? Especially in Las Vegas, it is good to know, is pest control included? Is there a washer/dryer in the unit? What about a microwave? Are there community amenities, such as a pool or fitness center? It is important to be fully informed before you rent the property or you could end up in a long term lease, in a place you are very unhappy with. Did you know one of the most common ways to become a millionaire is by investing in real estate? At first, the thought of investing in real estate may seem daunting especially if you don’t have a lot of capital to work with. However, these days you don’t necessarily need six figures to become an investor. The key is to have a solid financial plan and know how to work it. First, you will want to get educated on different ways to start investing. People may give you advice which can be helpful, especially if they are experienced real estate investors themselves, but you really want to do your own research. After all, it is your money you are putting at risk and looking to gain a return. There are plenty of real estate investment seminars that you could attend, but there is a lot of free information and guides available online to get a good jump start. There are several ways to begin investing in real estate and here are ones you should look into and understand. After you learn about your different options, you will need to consider which one best fits your budget, time, and requirements. Another key part of educating yourself is evaluating the neighborhood or area you want to invest in. If you aren’t aware of the surroundings of your investment, you can’t properly make an informed decision. Once you’ve learned more about investing in real estate, you will have a better idea of the range of the initial investment you would like to make. Take the time to make goals of what you want to get out of your investment. How much risk do you want to take? What is your dream outcome? Now work backwards to figure out a plan to get to that outcome. That can also help you figure out exactly how much you need to have to start investing. Now that you know how much you’d like to start with, make a budget to help save that amount. I have talked about budgeting in the past, and the same goals apply here. See where you can cut back, make sure your bills are paid, don’t add any new expenses, etc. In no time, you will have the money you need. With all investments come risks. One risk of course is buying a property and having to sell it at a significantly lower price due to the market or other conditions out of your control. Another common mistake includes the timing of purchases and sales, which may result in substantial losses or losing out in a deal or the market picking up ahead of your prediction forcing you to buy the same product that was available for a bargain at a premium. Owning a rental has its own expenses as well. Maintenance and other large expenses can be a challenge some forget to include when making their investment. Be fully aware of what the risks may be before you start investing. A small bedroom can pose a unique decorating challenge due to the lack of space. However, that doesn’t mean the bedroom has to actually feel small. When selling your house, the goal is to make it look welcoming and spacious, so potential buyers could see themselves living there. Even if you’re not ready to sell yet, these are great tip to help make your bedroom look bigger. Paint your walls light colors which will reflect the light making it seem brighter and roomier. Dark paint absorbs light, which can make the room feel more constricting. Think lighter blues, yellows, and neutrals. Paint the trim a slightly lighter color. Your eye perceives depth. This simple trick in your bedroom design will make it feel like the walls are father away giving you a roomier feeling. White trim around doorways and ceilings can offset whatever color you’ve chosen. Monochromatic paint is the best place to start. Coordination is an important feature of any room design. Using monochromatic paint colors throughout the room create fluidity and space. Painting with different or opposite colors will segment off portions of the room when viewing, making it feel smaller. Paint the ceiling darker which essentially is tricking the eye to look upward. Using colors or patterns that pop will draw the eye upward, which gives the illusion of height even if you don’t have high ceilings. 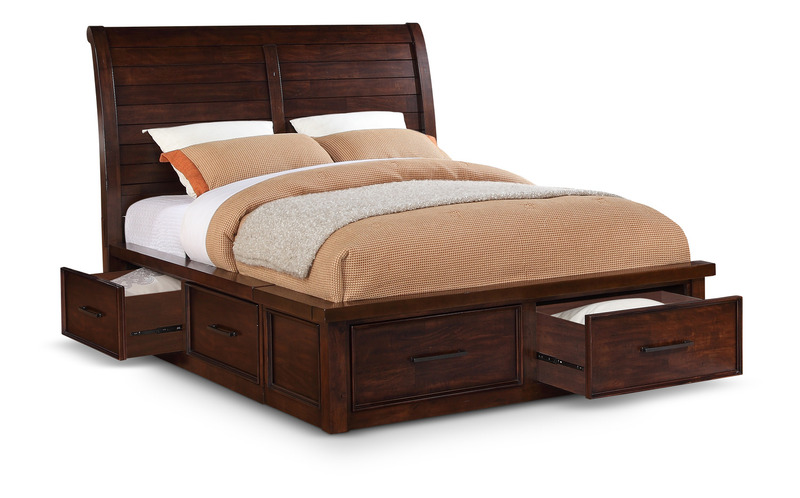 Use space saving furniture, such as beds with built in storage underneath. Another easy solution is putting your bed on risers and then storing your clothes beneath. Utilize folding desks and chairs and store them when you’re not using them. Avoid excessive furniture if possible. Bedside tables can be skipped. Large dressers can be downsized. Less furniture of course will always make the room look bigger. Keep low to the ground. Stay away from tall chairs and tables, and definitely get rid of the high headboard. By keeping things low to the ground, you’re creating more space above which makes the ceiling seem higher. Stay out of the middle zone. Leave space above hanging art to give the illusion of a taller wall. If you have shelves or other storage, keep it closer to the ceiling to draw the eye upwards. Mirrors are the ultimate illusion and will make your bedroom look so much bigger. Mirrors not only reflect light, but an angled mirror can also create depth or height. If you can, you want your mirrors to go floor to ceiling, such as mirrored closet doors. Organization is key to the perception of space. Keep your clothes in drawers, pens in a jar, loose change in the piggy bank. A clutter free room will make the room look and feel much larger than it actually is. Value Empty space. It is not necessary to fill all of your shelves to the brim. Empty space is essential for a smaller room because it helps let the room breathe a bit. If you find the need to decorate your room with small pieces, follow what is called the Cantaloupe rule. It states decorations shouldn’t be smaller than a cantaloupe because small things add clutter. Keep it simple is the best rule in all design, but especially when you want to make your bedroom look bigger. It is easy to fall into the trap of adding unnecessary decorations or details. After a while, you end up with a cramped, cluttered room. Stick to a color theme, make everything flow together, let in natural light, and follow these tips to make that small room feel so much larger. To many people today are living paycheck to paycheck. If you are constantly broke and struggling to stay above water, and want to start living differently, here’s a few tips for you! Money management was not my forte for a long time. Even in college, if I had a dollar to my name, I would go get a dollar ice cream cone. Thankfully, I’ve broken a lot of those bad habits and when you’re looking to purchase a home, stable finances play a huge role in fulfilling that dream. Lie number one people tell themselves. I am a firm believer in the face that you are the average of your five closest friends or associates. Surround yourself with successful people and you will be successful. Having that positivity in your life will push you to better yourself. Everyone has an internal scale that defines how much money they should earn. When you earn more, you start to subconsciously decrease your efforts. When you slip below, you start to hustle and find ways to make up the difference. Of course, making more income is not as easy as just saying to yourself, “I want to make more.” You have to do the work. There are certain jobs that have a pay cap, such as teachers or firefighters. Others can make more money simply by working harder or smarter, such as a small business owner or salesperson. When you’re in a job that has a payment cap, you will most likely need to look outside your job to find ways you can add value to the world. Value is how you make money. What skills do you have? Are you creative? Can you tutor? What are you passionate about? There are always ways to make money. If you need ideas, read books on how to make money. Practice your new skills. People who complain they don’t earn enough are not taking the time to learn how to change that. It takes effort and work to make it happen. We all have expenses in our life. They can range from cable tv to new clothing to bottled water. Expenses are not necessarily bad. But many people who are broke spend their money on not just one or two things, but dozens of things that they could cut in order to save hundreds if not thousands of dollars each month. I’ve talked before about wants versus needs when choosing a new home and this is very similar. There are sacrifices that can be made and not effect our day to day life, that will make saving money so much easier. If you want to live in your dream home, cutting back on things such as phone data plans or maybe getting a less expensive car, would be worth it. Finally, it is important to know that all of the reasons above can affect anyone no matter what income level they are at. How many times have we heard stories of people winning the lottery only to file for bankruptcy within five years? This reason is simple: it’s not what you earn or what you spend, it’s how you manage it. Money management is about knowing what money is coming in, what money is going out, and making sure that the latter is less than the former. Good money management is about knowing what you have spend money on so you can make informed decision on what you should spend money on. Know where you are right now by looking at your finances over the past money and figuring out how much you spend on what. Rent, car payment, food, utilities, etc. Where is your money going? 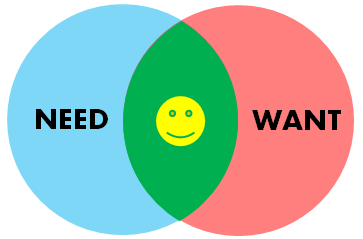 What are the needs and what are the wants? Establish a budget and stick to it! Make sure you keep yourself on track by meeting with a partner to go over you finances once a month. Automate your savings, even it’s only $5. It will increase over time. Getting yourself into the habit of putting money aside will always insure you have something in savings. Most banks give you the ability to set up automatic transfers into a savings account. In the past, Las Vegas has been known for retirees and empty nesters to settle down. However, in recent years, there has been a large amount of millennials deciding to call Las Vegas home. Why the push to Sin City? There are many reasons to relocate to Las Vegas but here are a few. After spending four winters in a snow covered Utah, I knew I wanted to run back to warmer weather as soon as possible! That’s when I called Las Vegas home and have been here for 12 years! I mean, it’s January 22 and a gorgeous 51 degrees outside. Not only is the weather amazing, but unlike other warmer states, you don’t have the risks of hurricanes, tornadoes, or earthquakes. Really missing the snow? Take a quick drive up to Mount Charleston where they have a ski resort and snow covered ground to play in. Summers can easily get up in the triple digits, but without the humidity it’s actually very tolerable. Plus there’s two super fun water parks and nearly every neighborhood has a community pool. Las Vegas has had incredible job growth! From November 2016 to November 2017, Las Vegas employment grew at 2.7 percent, an increase of 25,500 jobs. Zappos is an amazing company to work for and have their headquarters here, constantly growing and adding new jobs. Another company proposing a move to Las Vegas is Amazon. Companies are seeing Las Vegas as a hub for startups and are bringing more business here. Most people identify Las Vegas with the Strip. While there are so many great shows and dining opportunities, only the locals truly know the fun to be had in outside areas such as Downtown Summerlin, Container Park, and the Arts District. There are concerts, parades, farmers markets, family activities and more. Celebrity chefs have brought restaurants down to Las Vegas that are especially fun to partake in. There are food trucks lining Freemont Street and classic hole-in-the-wall joints that make Las Vegas eclectic and interesting. Oh and did I mention we now have professional sports teams? The Las Vegas Golden Knights Hockey Team have quickly become the talk of the town and games are fun for all ages to attend. We also are looking forward to having the Oakland Raiders relocate here in 2020! 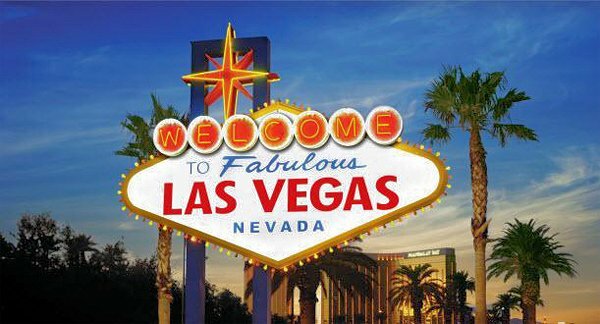 Probably the biggest draw for anyone to relocate to Las Vegas is the face that homeownership isn’t a pipe dream! Prices are reasonable enough that owning a home that is large enough to fit your needs is actually attainable. Even rent prices are half the cost of living in other large cities. With rent being less, it is easier to be able to save for a down payment on a home. With home inventory being on the low side right now, it is very important when buying a home to figure out what are your wants versus needs. House hunting can be so fun and you might have your list of “dream features” – vaulted ceilings, breakfast nook, spa and swimming pool – but have you truly defined what you need in your new home? What can you sacrifice in order to find a home that you can happily live in that fits your budget and will do well for your family? Remember the key word here is “need.” Needs always trump wants and you don’t want to miss out on a really great home just because it doesn’t fit your picture perfect dream home. Take a piece of paper and make two columns, wants and needs. Needs include things like location, school zone, neighborhood, budget, number of bedrooms, garage spaces. Wants include the fluff or non-essentials such as a specific style of home, remodeled kitchen, deck, pool, specific flooring material, landscaping. You can always make a home what you want if you decide these are things you really want, eventually. The things you absolutely need to make this house livable is the most important when house hunting. This is family conference time. Everyone may have different wants versus needs and you would like to have input so you can further narrow down the list, or broaden it as needed. Consider how you want your family to live in your home. Do your kids play sports with lots of equipment? You might need extra storage space. DO you cook large dinners regularly? A larger kitchen or one with an island may be a necessity. Believe it or not, studies have shown that square footage and the floor plan of your home can affect your relationships. 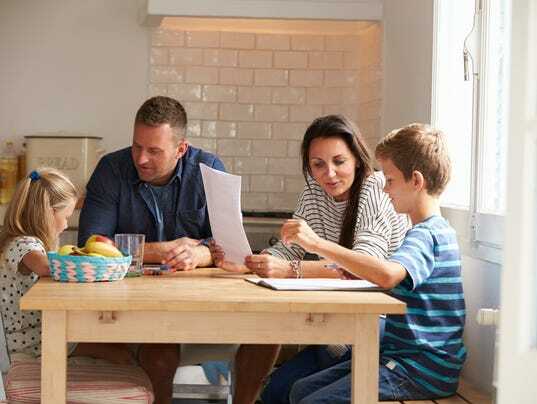 Bouncing ideas off one another can be incredibly helpful in figuring out what is best for your family. A huge factor in wants versus needs is how long you are going to be living in this home. That alone can determine a lot of wants and needs. If you are planning on staying short term, location, value, and neighborhood are extremely important so you can get the most value out of your home. If you are planning to stay longer, think about any upcoming life changes you may have. Are you going to expand your family? Will you need to do remodeling or home improvements, and is that in your budget? The longer you are staying, usually the longer your needs list becomes. Take a minute to really think about what will make you happy. This is your home. You want to be happy in it and enjoy your experience. If you want a king size bed, look for a larger master bedroom. If you don’t spend a lot of time outside, maybe choose a smaller lot without much of a backyard. Think about your lifestyle and what will work best. Make sure to be honest with yourself so you aren’t stressed or disappointed with your house hunting experience.